We’ve only one new clue, scheduled to be released sometime today, left to solve (which I’ll tackle tomorrow), then we’re finally all caught up on Roo Clues! Here’s Roo Clue #7! After a little uncertainty on #6 (though I still feel pretty confident the answer is Of Monsters and Men), clue #7 feels like the easiest one since Japandroids (#1). It’s a Tuesday clue, so it came in the form of a picture from a real-world location: this time, New York City. How the poster didn’t get snatched from a park bench in Manhattan before someone got to it is a mystery in of itself. This one’s easy. Almost too easy. If I didn’t know better, I’d second guess myself due to the sheer fact of how easy it is. I’m so sure about this one, though, that I’m not going to even bother with other guesses or possibilities. The answer is A$AP ROCKY. 100%, without a doubt, we’ll be seeing the rapper down on the farm this summer! “Eric B’s partner” is Rakim. They comprise the hip hop duo Eric B. & Rakim, from New York. Where the clue was placed. A$AP Rocky, like Eric B. & Rakim, is a rapper. 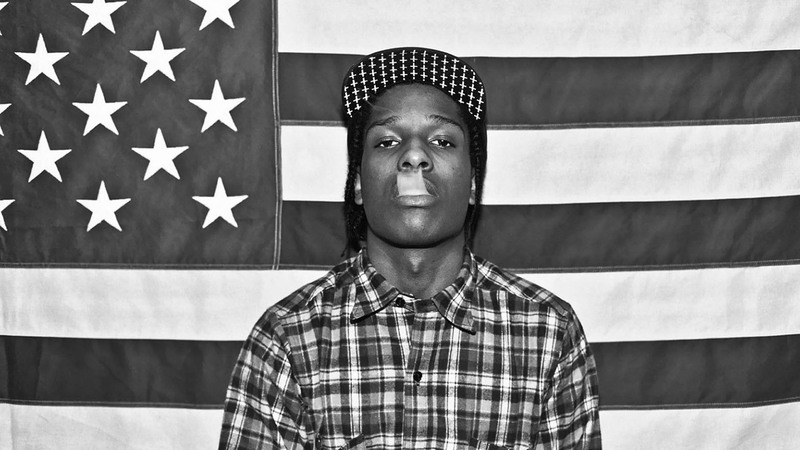 More importantly, A$AP Rocky’s birth name is Rakim Mayers. Even more importantly, A$AP Rocky was named after Rakim from Eric B. & Rakim (whose birth name is actually William Michael Griffin, Jr., but that’s neither here nor there). “Is Paid in Full with Pesos” – A$AP Rocky has a famous single called “Pesos” (see the video above). Paid in Full is also the name of Eric. B & Rakim’s debut album, in case you had any doubts that the clue was referring to that Eric B. “On the Harlem streets” – A$AP Rocky literally grew up on the streets of Harlem. Which is in New York City. Which is where this clue happened to be placed. I, for one, am pretty stoked that we have our first rapper confirmed to play Bonnaroo! We’ve got one more clue to solve this week, then we’ll be back to twice weekly for the remainder of the Roo Clues. And don’t forget to check out our 2013 Bonnaroo Lineup Rumors post, which is regularly updated with the lastest info and speculation! –Baltimore Natives Think Alike: Animal Collective & Dan Deacon To Play Marathon Music Works.